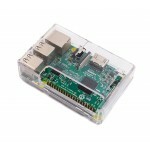 Plastic is your budget-friendly option for Pi cases! This particular plastic case is the easiest on your wallet and great for those who want to admire the IC components and PCB design. Protect and Admire. 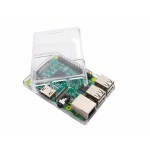 Two pieces snap together to make a snug, transparent home for your RasPi 3. Slits along the bottom provide some ventilation for the board while in use. Subtle labeling on the top and bottom help you remember what is what and on the bottom, there is space to connect hardware for mounting the case. Note: To open the case after closing, press in along the hooks located on the long sides. 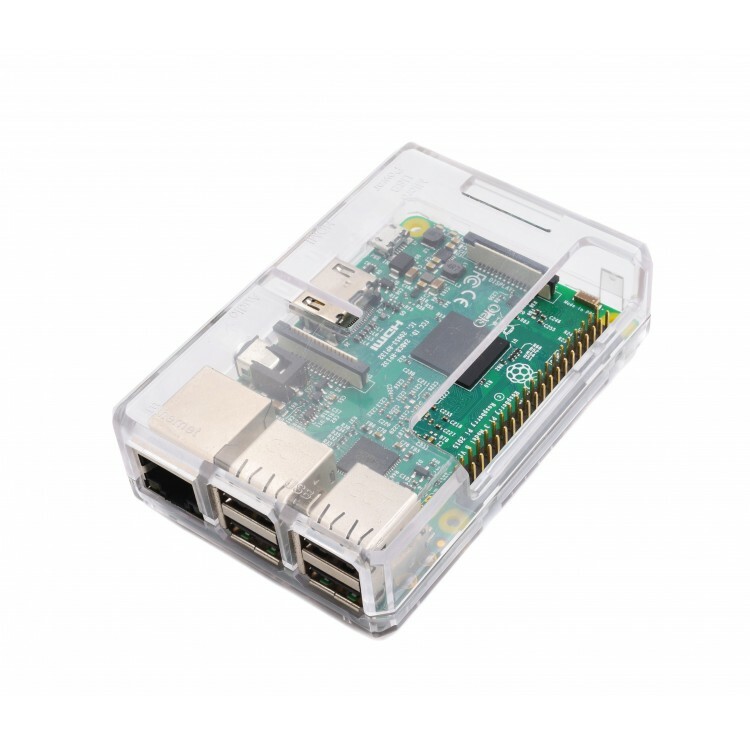 Your most budget-friendly option for your Raspberry Pi 3's home. 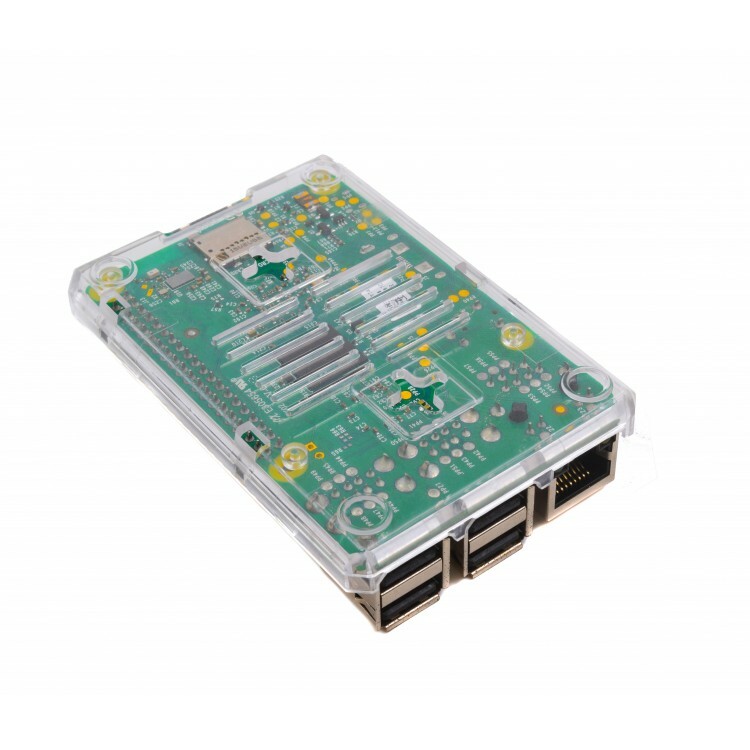 Fits the Pi 3, 3 B+, P12 and P13 boards. Transparent to show off all the components and circuitry of the board.